The ever-blooming Coreopsis produces fabulous daisy-like flowers with bright and sunny faces. A prolific flowering plant that will be excellent in a sunny flower bed. 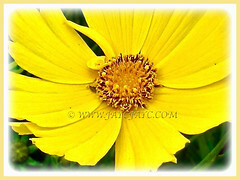 Florida in the United States has designated all Coreopsis species as the state’s wildflower. 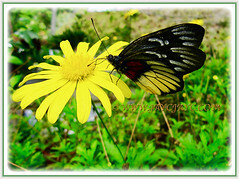 Botanical Name: Coreopsis (syn. : Calliopsis, Epilepis, Tuckermannia, Leptosyne). Common Names: Calliopsis, Tickseed, Pot Of Gold, Yellow Cosmos. Etymology: The genus name, Coreopsis is from Greek words koris meaning bedbug, with reference to its seeds’s resemblance to ticks and opsis meaning view, referring to the shape of the achene. Origin: Native North, Central, and South America. It is also cultivated worldwide. Plant type: An ornamental, evergreen and herbaceous plant. 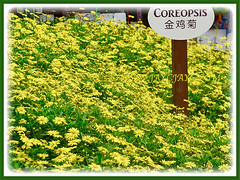 Features: Coreopsis is a species of the genus Coreopsis that consists of about 75 to 80 species of flowering plants. They are favourites for hybridizers who have produced more than 100 different species. Pink, red and multi-coloured varieties as well as double flowers types are produced through hybridization. These clump-forming plants with medium growth rate can reach between 46 cm to almost 2 m tall. 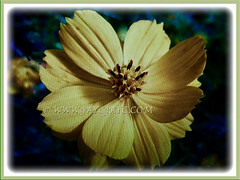 Coreopsis produces showy, lacy, delicate or lobed green leaves that have fine textures. Leaves are oppositely arranged on the stem. 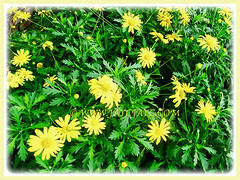 Daisy-like flowers are held on tall wiry stems above the foliage. The showy flower heads with involucral bracts are in two distinct series of eight each, the outer being commonly connate at the base. The flowers are usually yellow with jagged tips. Coreopsis develops 5 cm diameter flower heads that consist of petal-like, ray florets on the periphery and disk florets that are tightly packed in the centre. Ray florets can be white, pale yellow, golden yellow or orange coloured. Disk florets are usually yellow in colour. Flowers will be followed by fruits. The small, flat and bug-like fruit is a dry achene filled with one seed. 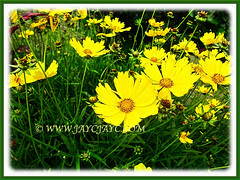 Coreopsis is also commonly known as Tickseed due to the specific shape of the seed. 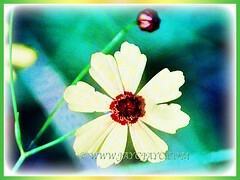 Culture (Care): Coreopsis or Tickseed can be easily grown with minimum care. Light: Best in full sun for optimum growth and flowering. It does flower in semi-shade, but the plant may grow a bit lankier. Moisture: Medium to high water requirements. Once established, the plant is fairly drought tolerant. Soil: Fertile, loamy and well-drained soils. It will tolerate almost any soil as long as it has good drainage. Others: Remove spent flowers so that the plant does not become weedy. Deadhead more often to promote continuous blooming. Prune plant to desired height when growing in a pot. They self-sow easily but if you dislike them, just deadhead the plants before they set seeds. Generally free from serious disease or insect problems. However, the plants may be attractive to chewing and sucking insects such as snails and slugs. Fungal disease can be a problem too. To prevent these problems, provide lots of air circulation and locate the plants in full sun. For subtropical and temperate regions: Hardiness: USDA Zone 4-9. Some species of Coreopsis or Calliopsis are annuals while others are perennials. 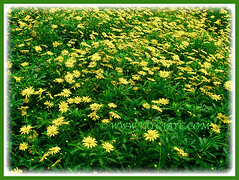 It starts to bloom daisy-like flowers in early summer to fall. Do not prune Coreopsis during winter. Both annuals and perennials type of Coreopsis are grown in the home garden. Choose the varieties that is best suited for your USDA zone. Propagate either by division or seed in spring or fall. If you leave the seed heads on during the winter, birds love devouring them. Propagation: Easily propagated by division of clumps, cuttings or via seeds. It even self-sow. 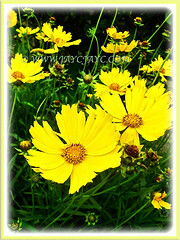 Usage: Coreopsis or Tickseed is suited to be grown as a garden plant because of its fabulous and long-lasting blossoms that can be used for cut flower bouquets. An ideal flowering plant for garden border and flower beds. Since they spread quickly to cover large areas, they’ll be wonderful as ground covers. Excellent for container gardening in pots or raised planters. 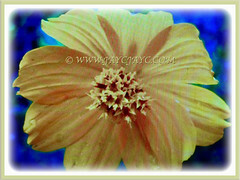 Dry Coreopsis can be consumed in the form of tea or used as a coffee substitute. Tea made from its roots can be used in treatment of diarrhoea and for cleansing of body through vomiting. A yellow to orange dye can be extracted from the flowers and used to dye cloth or wool. A magnet to butterflies, bees, hover flies and wasps that are its pollinators.